Brethren of the Lodge of St Michael are encouraged to accompany the Worshipful Master on visits: If you wish to stay and partake of refreshment at the Festive Board, please inform the WM in good time so he can book you in ~ or contact the individual Lodges directly. Below are listed visits made by the Worshipful Master, and other members of the Lodge, during his year in office. 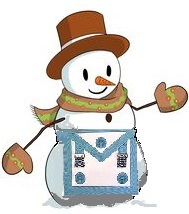 Please inform the Webmaster if you wish to include any of your Craft Lodge visits on this page. Worshipful Brother Terence William Black PPJGW was installed as Worshipful Master of the Lodge of St Michael 7833 on Thursday 24th May 2018 at the Masonic Lodge, Prince Street, Dagger Lane in Kingston upon Hull. W Bro Black had first taken the Chair of this Lodge in 1989, and has the distinction of being the only member of the Lodge of St Michael to be Worshipful Master of Lodge 7833 for a second time. The Representative of the Right Worshipful Provincial Grand Master on this occasion was the Provincial Grand Secretary, W Bro David Chambers. The Masonic Anthem and the Worshipful Master's Song were melodiously rendered by W Bro Terry Lynn. On Saturday 2nd June 2018 several members of the Lodge of St Michael attended Brough Lodge 5464 Installation to see W Bro Tony Calvert ceremonially placed in the Chair of King Solomon by W Bro Mike Shakesby. Tony, IPM of the Lodge of St Michael, remarked what a pleasure it was to see so many Brethren who had held office during his Mastership of the latter now lending their support as visitors. W Bro Eddie Wildman with fellow Daggards John Chew and John Chapman provided musical accompaniment during the evening. St Michael members Allan Hemmings, Tony Calvert and Eddie Wildman enjoyed a Daggards presentation of The Opening Odes at the 500th meeting of Humber Installed Masters Lodge 2494c on Monday 4th June 2018 whereat Bro Alistair Lamyman of de la Pole Lodge 1605 demonstrated in song the different words and tunes used throughout the Province. Worshipful Brother Terry Black gave greetings from the Lodge of St Michael 7833 at Kingston Lodge 1010 on Wednesday 6th June along with the St Michael Lodge Organist Eddie Wildman. The Kingston Brethren raised Bro Stowell in an impressive third degree ceremony. 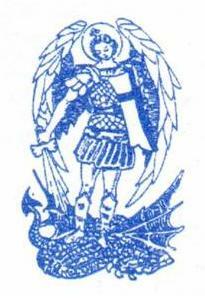 Like the Lodge of St Michael, the Kingston Lodge uses a form of Emulation ritual. On Friday 8th June 2018 the funeral of Brother Alexander (Sannie) McCulloch McAllister was held at Haltemprice Crematorium, attended by family and friends along with the Worshipful Master and members of the Lodge of St Michael. The celebrant spoke of Sannie's many achievements, his National Service as an electrician and subsequent full-time service as a radio relay operator, travelling the world and working extensively in Germany and Cyprus, and his Masonic involvement after retiring. He will be sadly missed. 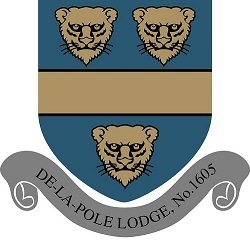 De la Pole Lodge 1605 raised Brother Damian Duffill to the third degree on Friday 8th June in an impressive ceremony at the Masonic Hall on Beverley Road, Hull. Worshipful Brother Paul Henderson gave greetings from the Lodge of St Michael 7833 and Worshipful Brother Eddie Wildman gave greetings from the United Grand Lodge of England. Paul Henderson won a raffle prize (the proceeds are going to Connaught Court) but Eddie Wildman continued his unbroken losing streak. On Saturday 9th June 2018, the Queen's official birthday, Humber Lodge held a celebration "War Years" social with singing of the old songs led by W Bro Richard Smedley and drama supplied by W Bro Eddie Wildman and Bro Mike Noble. Eddie belongs to the Lodge of St Michael, but also present from 7833 were W Bro Peter Wright and Bro Adrian Thompson, with their wives. 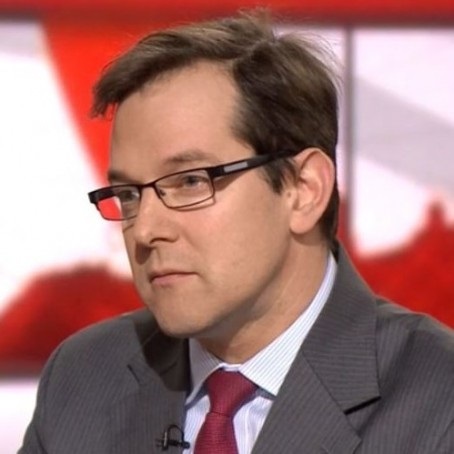 It was a most convivial evening, but once again Eddie Wildman failed to win a raffle prize. Tuesday 12th June saw an Initiation at Humber Lodge 57; among the many visitors were Bro Adrian Thompson and W Bro Stephen Longthorpe who were joined by W Bro Eddie Wildman when they stood to give hearty greetings from the Lodge of St Michael. Unacountably, the latter was once more unsuccessful when it came to the raffle. 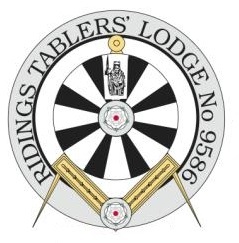 22nd June was the regular meeting of the Ridings Tablers' Lodge 9586, whereat W Bro John Bridges PPGReg gave a lecture on the Masonic Samaritan Fund. The Lodge of St Michael was represented by the Worshipful Master, W Bro Terry Black PPJGW (who gave greetings) and W Bro Peter Barnes PPGSptWks. Peter remarked on the friendly welcome they had received: "It was interesting - John Bridges told us things we didn't know." 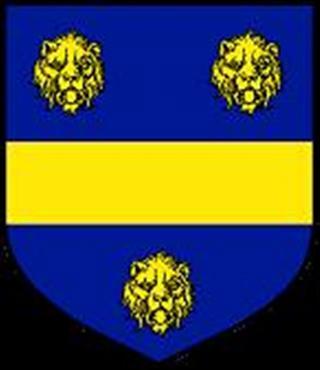 The Lodge of St Michael 7833 held its regular meeting on Thursday 28th June, where, after a dissertation on "The Grand Design" by the Lodge's Grand Officer, Worshipful Brother Eddie Wildman, the WM called off the Lodge and a most interesting discussion took place regarding the way forward. Almost everyone present had something to contribute, and after a frank and illuminating exchange of views, comments and ideas regarding the Five Year Plan, the Lodge was called on again and the meeting concluded on a positive note. At the Festive Board, WB Terry Black announced his chosen Charity for the year was the local branch of Parkinson's UK. On 10th July W Bro Terry Black, accompanied by his Senior Warden, Bro John Watkins, the IPM W Bro Tony Calvert and the Provincial Grand Organist, W Bro Eddie Wildman attended Humber Lodge 57 where the Provincial Grand Orator, W Bro Andrew Edward Calvert PGStdB spoke illuminatingly on "Humber Lodge and the Bonners" explaining the Masonic connections of this illustrious family. The meal afterwards comprised a buffet, held upstairs as the ground floor of the building was in use by a film company taking advantage of the Victorian buildings and cobbled street outside. 13th July saw St Michael members Eddie Wildman, Stephen Prior and Tony Calvert at the Grand Officers Mess at the Mercure Fairfield Manor Hotel, Skelton, York, where Peter Geoffrey Lowndes, the Pro Grand Master and Dr David Staples, the newly appointed Grand Secretary and Chief Executive Officer spoke illuminatingly to the assembled Brethren. On Friday 10th August, Brother Shaun Rennison, Junior Warden of the Lodge of St Michael, stood and gave hearty greetings on behalf of the Worshipful Master at the de la Pole Lodge 1605 on the occasion of the Initiation of Steven Laird. 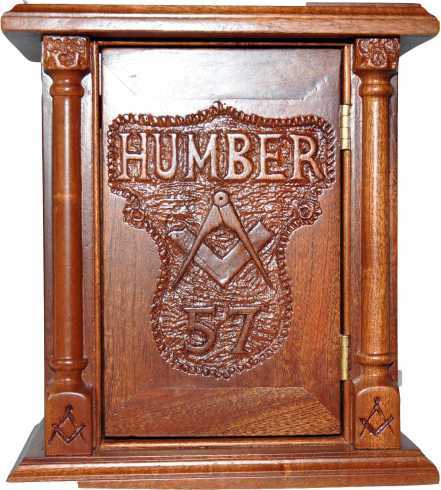 The Humber Lodge 57 was well attended by visitors at the meeting on August 14th when Brother Antony Weeks was raised to the sublime degree of a Master Mason. Greetings were given from the Lodge of Saint Michael by Brother John Watkins, accompanied by Brother Adrian Thompson along with Worshipful Brothers Stephen Longthorpe and Eddie Wildman. presentation of a 50 year certificate to W Bro Colin Peck at its regular meeting on Saturday 18th August. W Bro Terry Black, as Worshipful Master of the Lodge of St Michael, gave hearty greetings on behalf of all of his Officers. Brother John Watkins again attended Humber Lodge on 11th September, and W Bros. Wildman and Longthorpe also stood as he gave greetings on behalf of the Lodge of St Michael. 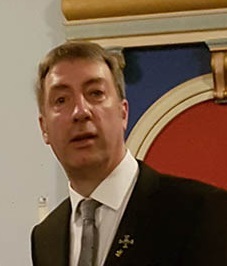 This was a well attended meeting, at which the visiting lecturer, W Bro Andy Sables of St Cuthbert's Lodge 630 gave a brilliant presentation "Breaking the Egg" with his thoughtful and individual spin on the allegorical aspects of Freemasonry. The following day, Wednesday 12th September, Minerva Lodge was very well attended as various Lodges vied to claim the Travelling Gavel. Holderness Lodge 3563 had marginally more visitors than Constitutional, Brough and St Michael and claimed the prize, but it was good to see the Lodge Room full, and at the Festive Board afterwards the singing of the Entered Apprentice Song was well appreciated by newly initiated Brother Lee Hunter. Well done, St Michael Brethren: Bros Black, Broughton, Calvert, Lynn, Martin-Smith, Rennison, Stead, Stokes, Watkins, White, Whittle, Wildman and Wright. W. Bro Wildman did not win a raffle prize on this occasion either. 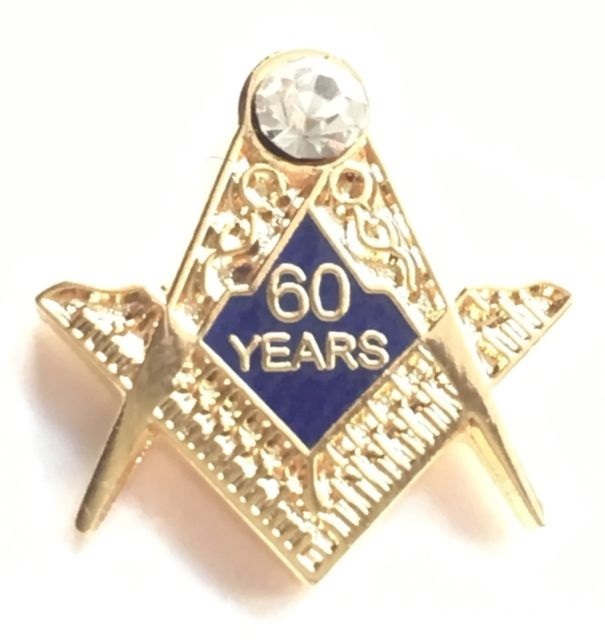 On Wednesday 3rd October 2018, Kingston Lodge was visited by the Right Worshipful Provincial Grand Master and many other distinguished guests for the presentation of two certificates: the first to W Bro John Bridger PGStB celebrating his sixty years in Freemasonry, the second to W Bro Derek Broderick PJGD who was celebrating half a century since joining the Craft. Both these eminent Brethren responded well to the RWPGM's interviewing technique, keeping the large audience well entertained. Among the guests were W Bros Terry Black and Stephen Prior fro m the Lodge of St Michael. On Wednesday 10th October 2018 The Worshipful Master visited the Minerva Lodge 250, which also meets at Dagger Lane and gave greetings from the Lodge of St Michael. 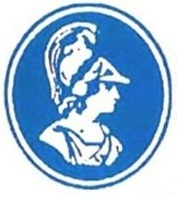 The Minerva Lodge initiated a new candidate that evening. On November 2nd, the St Michael Precentor, W Bro Jackie Chapman attended the Technical Lodge 5666 Lodge of Instruction Open Night along with W Bro John Stead and Bros Mathew HillStead, John Watkins and Shaun Rennison, where they had a very enjoyable evening; while at the other side of the city, W Bro Tony Calvert was in the Chair overseeing an Initiation Ceremony at the Brough Lodge 5464, another friendly gathering which was attended by St Michael Brethren Eddie Wildman and Adrian Thompson. There were several raffle prizes, but Eddie failed to win any of them. November 7th saw the premiere performance of the Daggard's latest production "The Bill Hogarth Inquiry" at the Kingston Lodge 1010, which was attended by the Worshipful Master of the Lodge of St Michael 7833. (Eddie Wildman, as an honorary member, stood up with W Bro Terry Black when the latter gave greetings on behalf of the Lodge of St Michael.) The following month saw the proclamation of W Bro Louis Morgan as Worshipful Master for a second year, when Eddie again attended, along with W Bros Terry Black and Stephen Prior and Bro Shaun Rennison. On Saturday 8th December, Wilberforce Lodge 2134 held an extraordinary meeting in the Egyptian Lodge Room at Grand Lodge, Great Queen Street, London, initiating a new Candidate; the Lodge's first daytime meeting and the first held outside the Province. The turnout was splendid, with Brethren from as far afield as Brighton joining the Hull contingent to witness Humber ritual being given an airing south of the Humber. Amongst the visitors was Bro. Adrian Thompson, who gave greetings as a member of the Lodge of St. Michael along with W Bro Eddie Wildman. Tuesday 11th December saw W Bros Wildman and Longthorpe at the Humber 57 Installation when W Bro Stanley Smith took the Master's Chair. The following day at Dagger Lane, St Michael's bass baritone W Bro John Stead sang "White Christmas" at the Minerva White Table evening, accompanied by W Bro Eddie Wildman. On Thursday 21st December The Lodge of St Michael hosted a Christmas lodge White Table event, Guests and Ladies were entertained with a join in carol service and a hearty Christmas Dinner. A good time was had by all. On Saturday 5th January W Master Terry Black, W Brother Jack Chapman,W Brother Steve Longthorpe, W Brother John Stead and Brother Peter Stokes attended the Pathway Meeting at Beverley Road Lodge, a briefing on on recruitment and retention was given by Provincial Lodge. On Saturday 9th February The Lodge of St Michael Worshipful Master Terry Black, hosted a dinner and dance, After an excellent meal the Brethren, Ladies and Guests were entertained by Roy Orbison and his entourage. An entertaining evening was had by all. On valentines night 14th February, Worshipful Master Terry Black attended the Installation meeting at Old Hymarians Lodge No 6885. On Monday 25th February W Master Terry Black accompanied by W Brother Steve Longthorpe, Brother Adrian Thompson and Brother Peter Stokes attended a first degree at Andrew Marvel Lodge, Beverley Road. The ritual was performed with excellence and an enjoyable festive board followed. A convivial atmosphere prevailled and new friendships were formed. 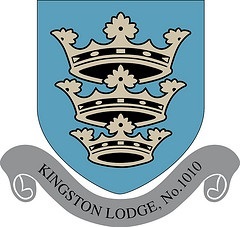 Wednesday 6th |March saw Worshipful Master Terry Black attend a regular meeting at Kingston Lodge No 1010. On Wednesday 13th March the Worshipful Master Terry Black, WB John Stead, WB Jackie Chapman, Bro Peter Stokes and Bro Adrian Thompson payed a flying visit to Minerva Lodge No250 to claim the traveling Gavel. A good time was had by all with good food, good company and masonic fellowship. 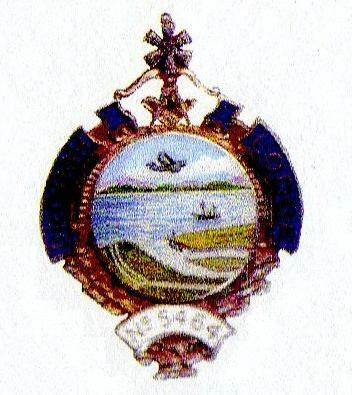 If any lodge in North Yorkshire and the East Riding wishes to claim it we await your company. 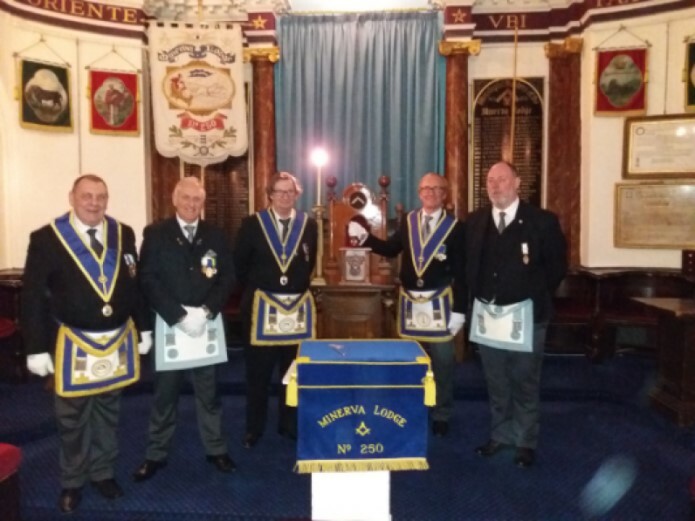 On Thursday 14th March Brother Shaun Rennison attended the instalation at Thesaurus Lodge No3891, also in attendance was Worshipful Brother Eddie Wildman. The Installation was well attended with over 80 brethran in the temple.Brother Shaun gave greetings on behalf of the Lodge of St Michael. On Wednesday 10th April Worshipful Master Terry Black with his Junior Warden Brother Shaun Renison and Brothers Adrian Thompson and Peter Stokes attended a Third Degree at MInerva Lodge 250. The Ceremony was well performed and different being Humber ritual, it also included a long closing from the third degree. The Worshipful Master gerously payed £10.00 to the Minerva Charity Fund as his phone went off during the ceremony. All attended the Festive Board.